The Jura is a beautiful region of many lakes, many mountains and some forests. The lakes are crystal clear, and many of them have tributaries which pass through dramatic gorges and over impressive waterfalls before they come to rest in the lakes. The best places to stay in the Jura offer their guests the perfect base from which to explore both the culture of the region and its glorious countryside. Set amongst this idyllic rural scenery are numerous pretty towns and villages, around which there are a number of well known 'cirques' or routes, great for walkers, cyclists or a relaxed drive. The unique local cheeses and wines will help you enjoy yourself, and you'll find many opportunities to sample them. In winter this is one of the best places in France for cross country skiing, and the whitened backdrop is just as spectacular. Closerie les Capucines has been beautifully converted from a 17th Century convent, with five, clean peaceful rooms benefiting from many of the original features, including a large and beautiful garden and a lovely solarium. They also have a pool and offer free bike hire - how charming! Chateau de Germigney offers the perfect option for foodies who like a spot of comfort too. This former hunting lodge is set in glorious countryside and boasts Michelin starred cuisine. Rooms are traditional and luxurious with four posters aplenty. Still not sure which is the best place to stay in Jura for you? Browse through our list of all the best places to stay in Jura, or contact one of our friendly Gurus for advice. 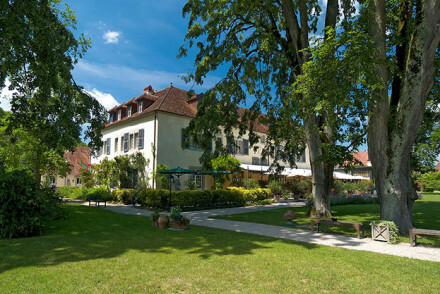 A small hotel located in the heart of Jura, surrounded by picturesque countryside, dotted with vineyards. Light filled rooms are chic and contemporary with plenty of polished pine and minimalist furniture. The restaurant is wonderful and celebrates all things local. A charming stay. Foodies - The restaurant celebrates Franche-Comté’s traditional regional gastronomy and organic, natural wines. Great walks - Standing in one of France's most prolific wine-producing regions, surrounded by vineyards and open green farmland. Sights nearby - A short drive from Chateau-Chalan, ranked one of the most beautiful villages in France, famous for its Vin Jaune. 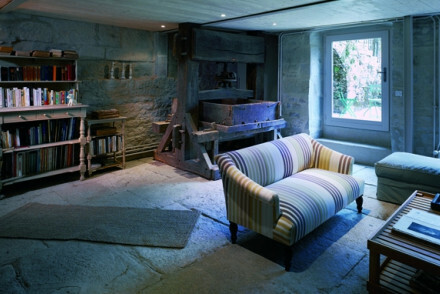 Charming 17th century convent conversion in Jura. Peaceful and clean rooms with original features. Outdoor pool, garden, and solarium for catching the rays or star watching. Plenty to see in the local area and hotel bikes to borrow. A relaxed choice with charming homely touches. Contemporary and cosy styles are gracefully combined in this mellow 17th-century house set in beautiful grounds. Rooms and suites are elegantly decorated with natural materials and designer furnishings. Bistronomic restaurant serves fabulous French food. Perfect for exploring the Jura. A former hunting lodge surrounded by lakes and charming villages. Luxurious interiors include romantic rooms and suites with four poster beds, glorious salons, and two restaurants, one with a Michelin star. Natural water swimming pool and close to the mountains. Stunning! Foodies - Two restaurants, both of which are highly regarded in the region for their colourful dishes, one with a Michelin star. Luxury - Stunning architecure, sumptuous rooms, and gourmet cuisine, all in a beautiful setting. Sights nearby - Royal Saltworks at Arc-et-Senans and the Unesco rated Salt Mines at Salins-les-Bains.